Pianos are expensive. A lot of us give in to the temptations of learning a piano and then go and buy one. Some people like to have one as decoration while others love to play them. It does not matter what your reason is, if you see a piano that you like, you should consider buying it. Pianos for sale are available from dealers and private persons. The dealers are well versed in the art of assessing the piano. This makes them better buyers and sellers. Let us be fair, it is their job. For a normal person to compete and buy a piano for sale at bargain prices, one has to have some tricks up the sleeve. You may see a piano for sale online or in the classifieds of a newspaper or magazine. Whichever channel you choose to monitor, you will have to be regular and alert. 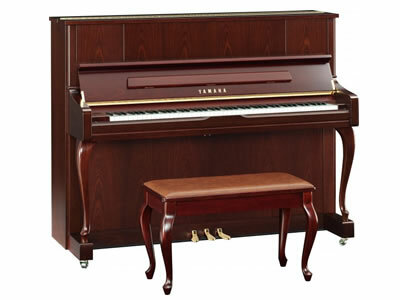 There are two distinct types of pianos for sale advertisement, which we would like to follow. View this link for our range of pianos for sale. The ads, which you observe appearing repetitively, are old piano for sale ads. They are still there because the owner is demanding a lot of money. Call the owner and get a ball park of the expected price. You do not have to agree to the price the seller wants. All you have to do is to beat the crowd. If you genuinely like the model and feel that the deal is rare, don't haggle for pennies. Leave your best offer with the seller, even if it seems far apart from their expectations. You just might get lucky and bag that piano. The other ads to watch out for are the new ads for piano. The trick here is to contact the seller at the earliest and get a price. This is the tricky part. You have to make a fair bid but at the same time you should ask the seller to give you a call before finalizing. This obviously may or may not happen. If it does, it might just work in your favour. Once the pricing of the piano is correct, it is time to visit the seller and check out the piano. Depending on how old the piano is, you may want to take an expert with you. If you cannot find an expert, take a friend who loves to play piano. At the seller's place, play the piano. A few songs should give you a fair idea of how the sound quality is like. Keen ears should give you clues to any damages. A physical inspection of the edges, soundboard and keys should give you a fair idea about the state of the piano. Most pianos for sale would be in pristine condition. People take exceptionally loving care of their piano. You should not find any physical damage on the piano. The only traces should be those of a pianist who played it. With these few tips, you should be able to get a piano in a matter of day. The best part will be the sensational bargain price you would have negotiated for the piano for sale.